Affordable apartments in beautiful Auburn WA. This property does not offer direct subsidy for apartments but gladly accepts Housing Authority provided Section 8 Vouchers, Shelter Plus Care assistance, and more. See our affordable rents! Rents include water, sewer, garbage and recycling PAID! Income must meet 2 x the amount of monthly rent, or co-signer may be required. For applicants with a Section 8 voucher, income must meet 2 x the amount of tenant's portion of rent. Our Auburn Apartments offer an easy commute to major freeways, Boeing, shopping and transit routes. Come home to the peaceful comfort that makes Auburn Square such a great place to live! With courtyard views and lush landscaping, you'll get the feeling that you are far from the fast-paced lifestyle without sacrificing an easy commute to major freeways, Boeing, shopping and transit routes. Spacious 1, 2 and 3 bedroom apartment homes with a relaxed atmosphere give you many quality amenities with professional management at an affordable price. Your home includes spacious rooms with energy-saving insulated windows, contemporary appliances to simplify your life and patios and balconies with large storage for all those little "extras" on our smoke free, EnviroStar Certified community. 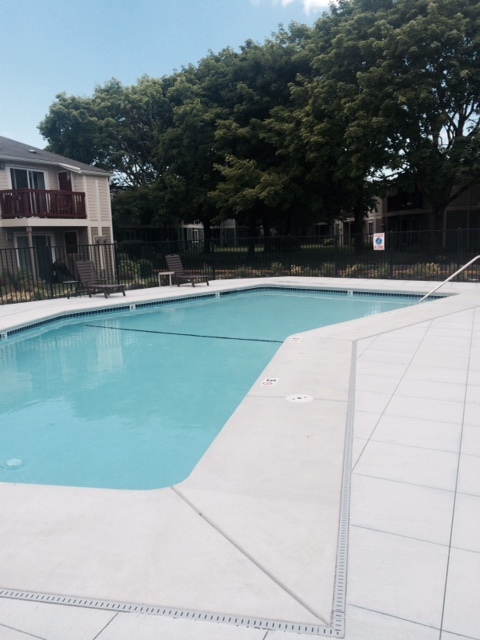 Check out our playground, seasonal pool, beautiful landscaping, and meet our friendly and professional staff. Income must equal no less than 2 times the montly rental amount. Income that is less than 2 times will be grounds for co-signer. No minimum income is required for participants of the King County Section 8 and other voucher programs. Small dogs (25 pounds or under) and cats are allowed with $175 Non-Refundable Pet Fee and $175 Refundable Pet Deposit paid at move in. 2 pets maximum allowed per apartment and each pet must weigh under 25 lbs. and be 12 months of age or older. No restricted, aggressive breeds, or exotic pets allowed. Please contact property about specific pets not listed above. This property does not offer direct subsidy for apartments but gladly accepts Housing Authority provided Section 8 Vouchers, Shelter Plus Care assistance, and more. See our affordable rents! Rents include water, sewer, garbage and recycling PAID!